$79.0 (20 bids) Sony DCR-TRV510 Digital 8 Video Camera Recorder. $64.99 SONY Video 8 Handycam CCD-FX330 8mm Film w. Accessories - Works Great! 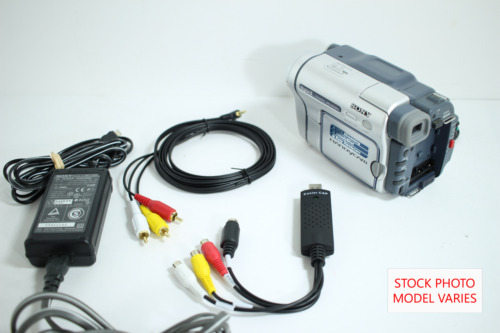 $87.99 Sony Digital 8 Hi8 Video 8 Handycam Camcorder DCR-TRV280 Video Transfer Works! $149.99 Sony DCR-TRV240 Camcorder Digital 8 700x 25x Tested With Fast Free Shipping!